Geoff may be known to many as the Director of Testing Services at Planit’s UK office, but others know him for his contributions to organisations such as ISTQB, UKTB, TMMi Foundation, and more. Find out how his two decades in testing have positively influenced and grown the industry. Today’s testers no longer simply run tests and report bugs. This observation comes the way of ISTQB’s Worldwide Software Testing Practices Report 2017-18, which found that testers are now expected to have a broad range of skills. 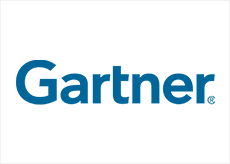 Planit has been named in Gartner’s 2018 Magic Quadrant for Application Testing Services with a year-on-year gain in Completeness of Vision. Consumers have become so reliant on their end-point of choice that it has become their sole means of engaging with companies digitally. However, ensuring it is a smooth experience remains a challenge for many. The future of testing will be about testers working together with developers and enabling them to deliver better quality software. There is always a person or team at the core of the process ensuring each interaction is fit for purpose via test, but what inspires the motivation of engineers to do so effectively? Senior Consultant, Alan Broad, looks at how to tap into this motivation to ensure we are always seeking continuous improvement. Keystart Home Loans regression testing process was completely manual until Planit implemented an automated testing framework to reduce the manual effort involved and provide greater testing coverage of the company's core lending system.